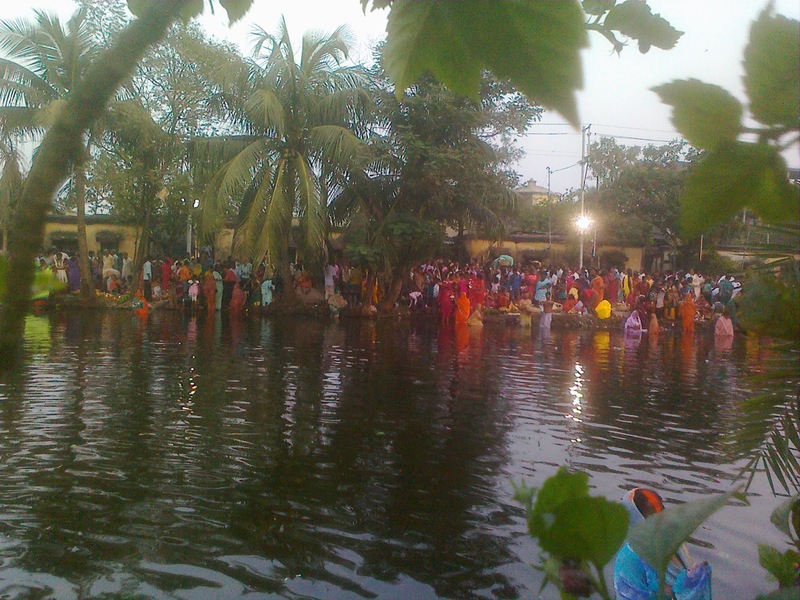 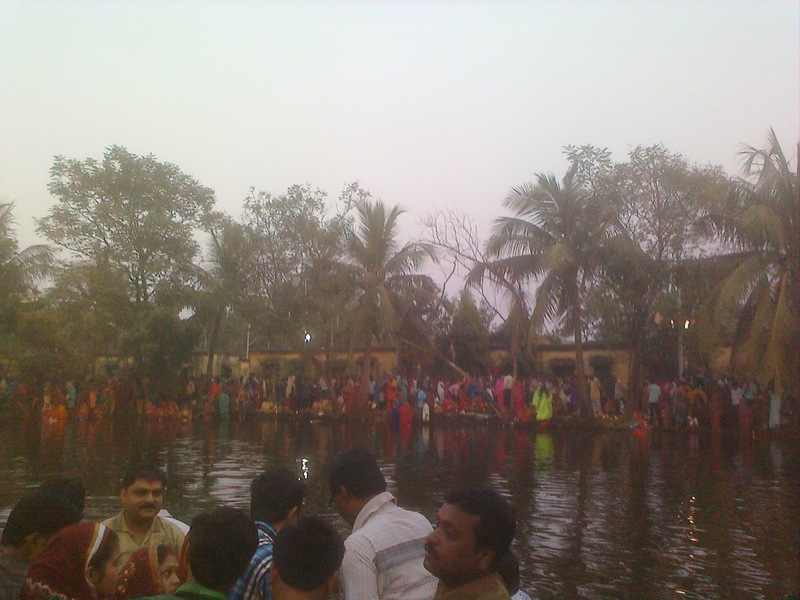 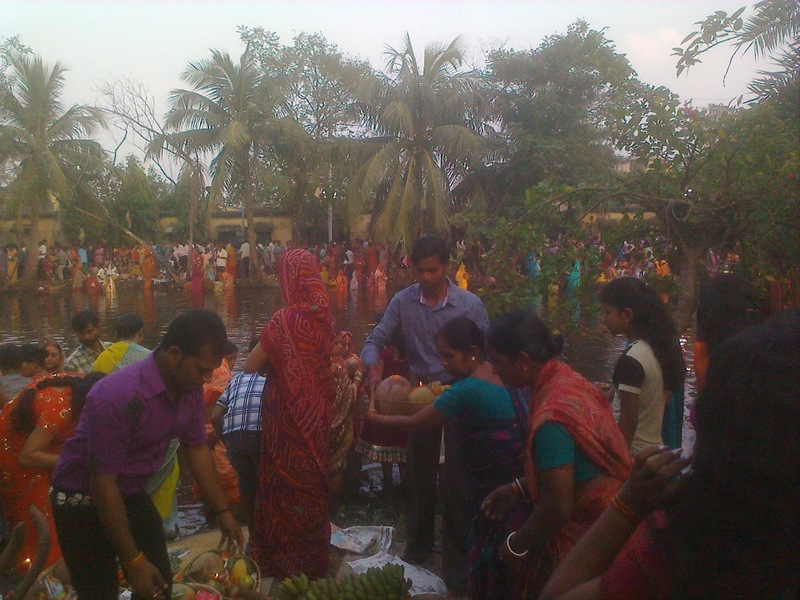 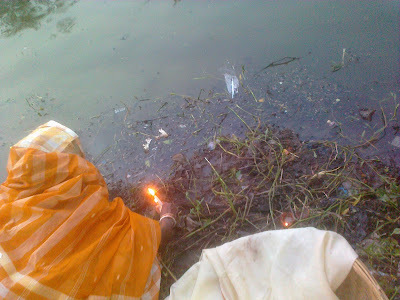 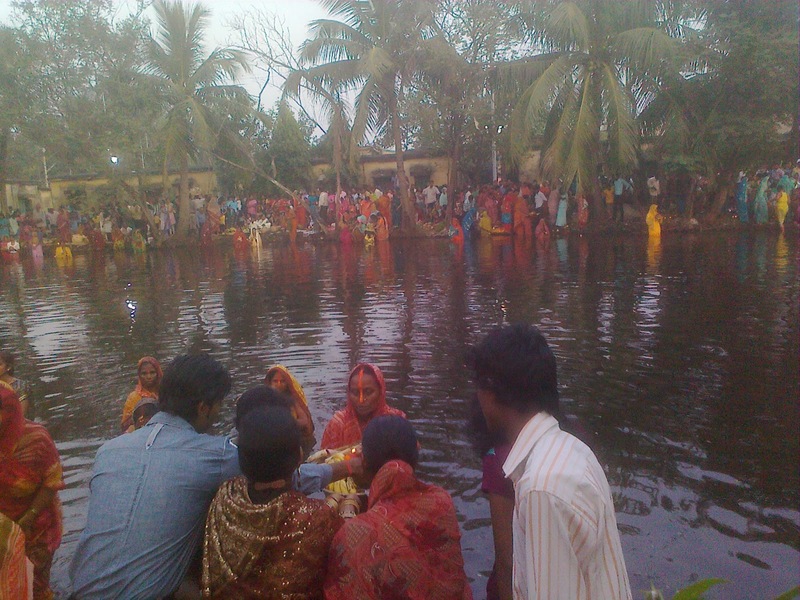 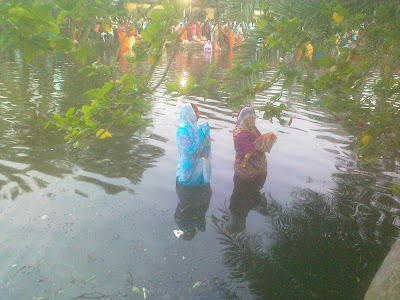 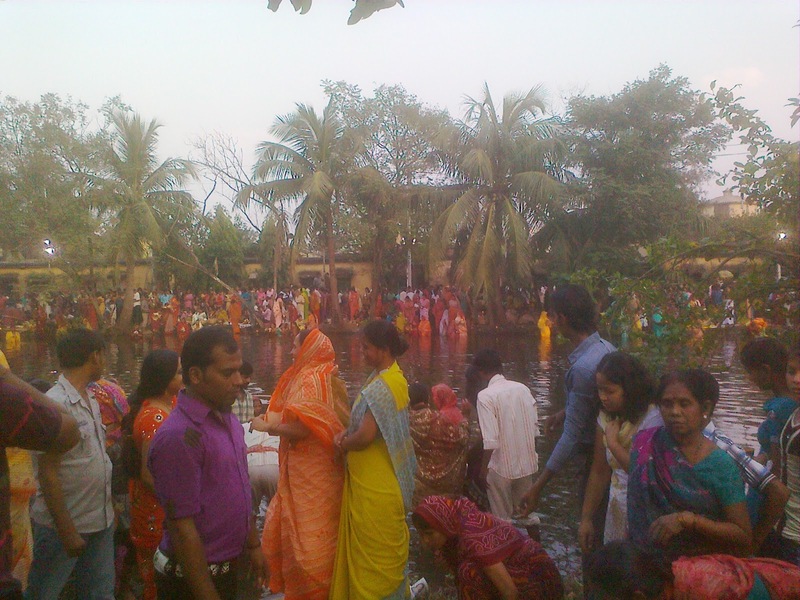 We all know that the Chhath Puja was only a part of Northern India,specially peoples from Bihar and Jharkhand used to worship Lord Sun(Surya) by giving Aragh(Pouring water facing towards the Sun). 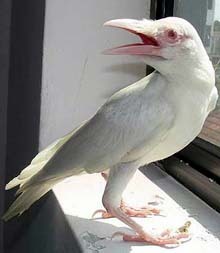 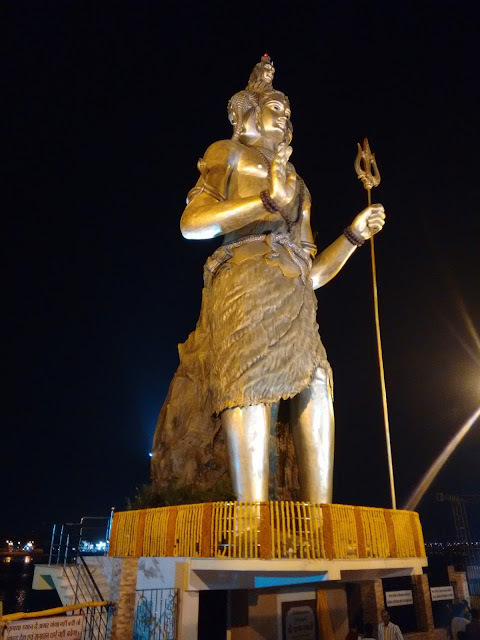 But,worship of Gods can not be accumulated to a certain region in a religious country like India. 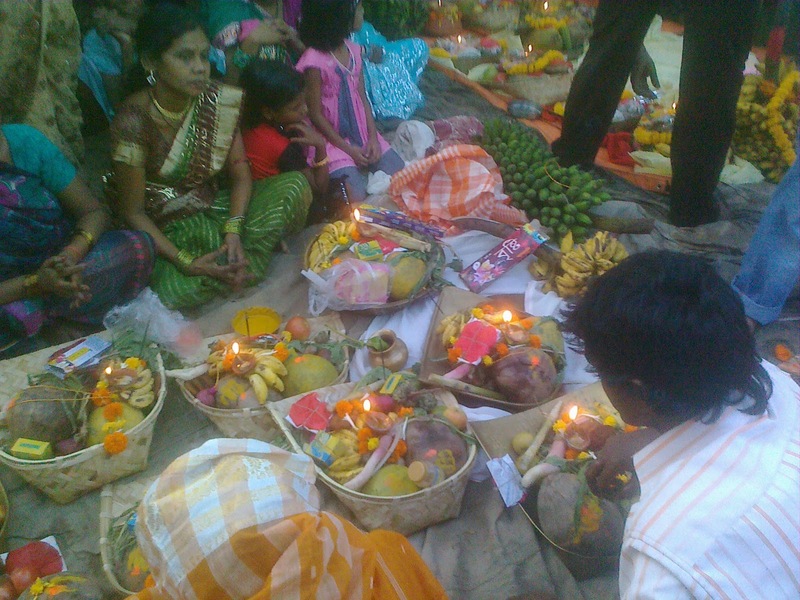 Today,it is worshiped in almost every part of the country. 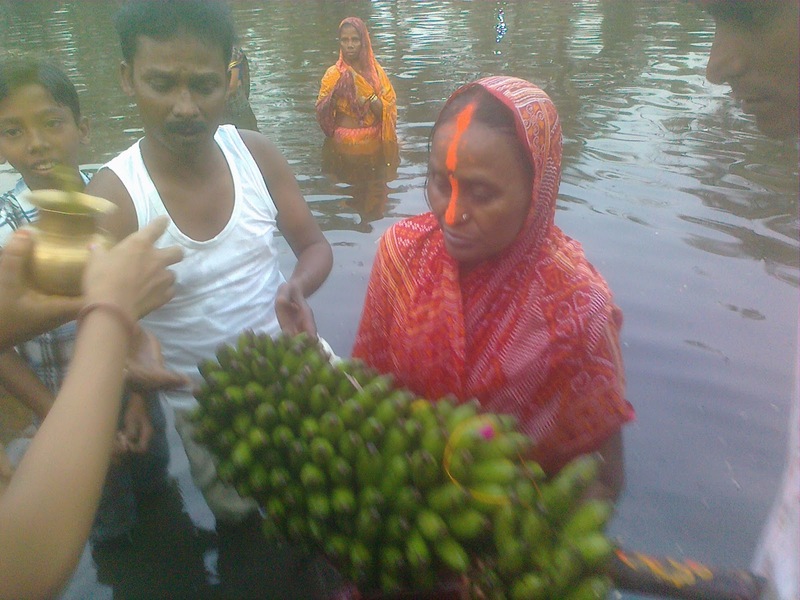 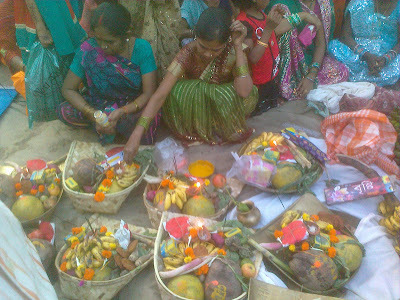 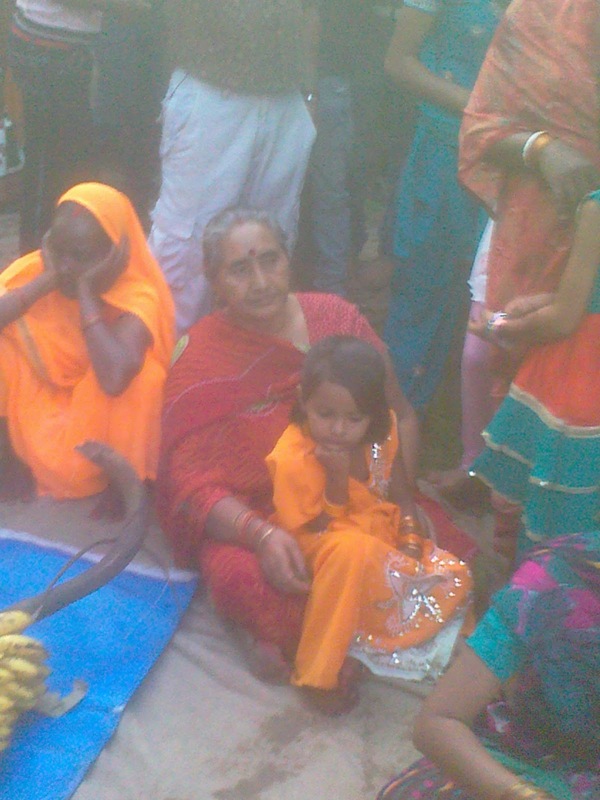 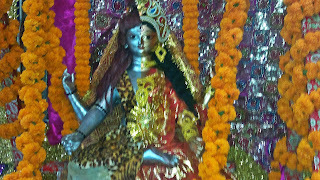 In my family,we never did rituals of Chhath Puja,but back few years my maternal grand maa told us to do it as she begged something from Chhath Maa and she fulfilled her wishes. 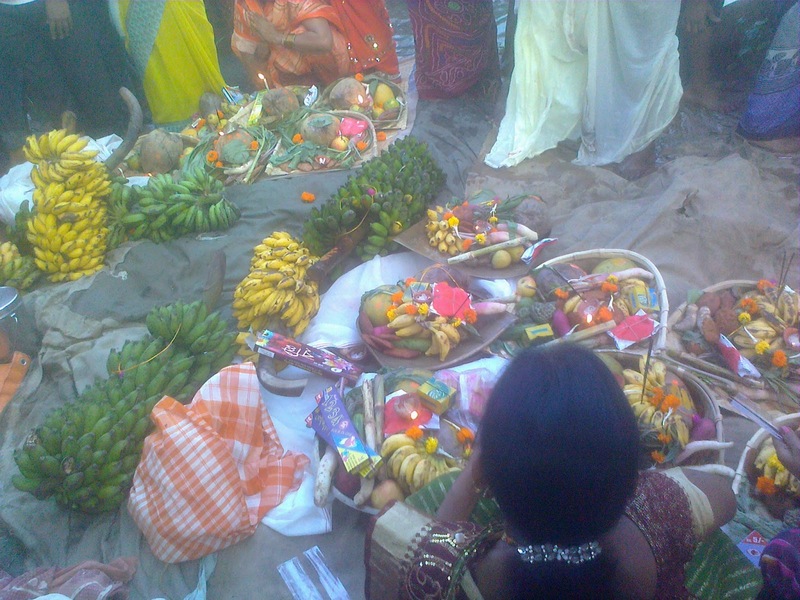 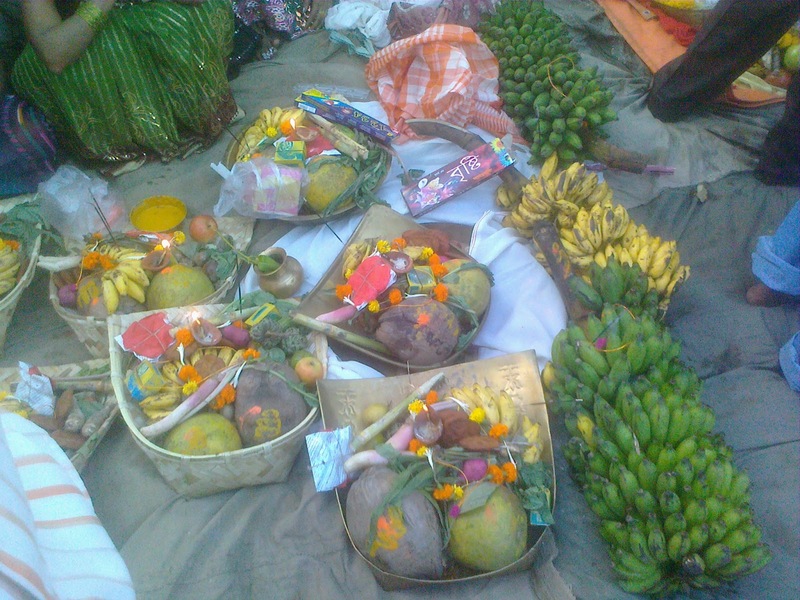 That something was me obviously.So,my mom started doing this but not full fledgedly as she does not have the physical energy to fulfill all the rituals,as she is old and can't sit and stand for a long time.So,she opted to give a bunch of Bananas to our neighbour aunty who worships chhath puja and goes to Ghat(Shore,may be of river or fresh water pond). 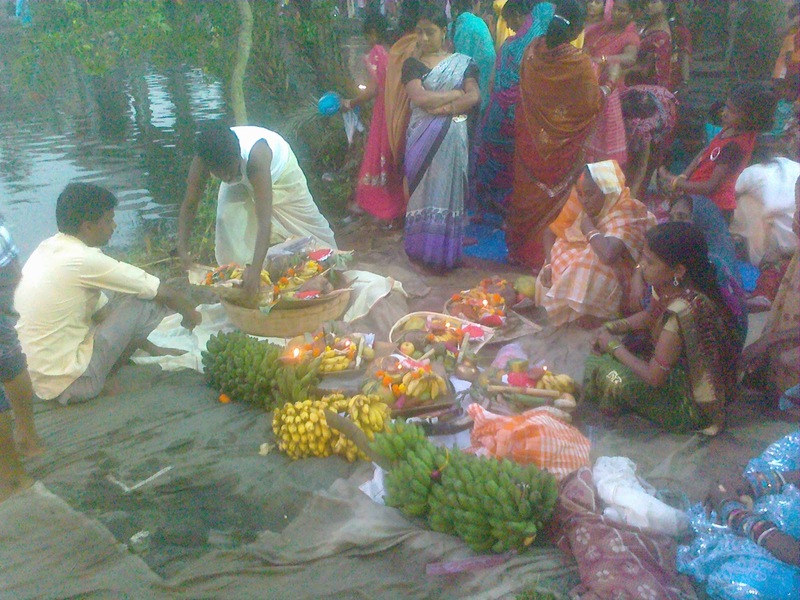 The biggest part of Chhath Puja is cleanliness.It is said and adhered to that the worshiper has to eat only veggie foods along with his or her family and maintain cleanliness from seven days before the puja untill the Puja ends.This years Chhath Puja was as usually on the Ghat of a fresh water pond nearby my locality.Hope,you all know about the rituals of this puja,sotheres nothing to say about it.Heres some pictures of Chhath Puja this year at Liluah.